The Regional Centre for Mapping of Resources for Development (RCMRD) has been participating in the Partnership for Resilience and Economic Growth (PREG) learning event in Isiolo and Marsabit. PREG targets nine ASAL counties. It builds on community-identified strengths and priorities, tapping into the remarkable survival abilities of local populations. The event was conducted from March 19 to 23, 2018. RCMRD plans to engage PREG members and identify areas of collaboration especially in agriculture and food security. The objectives of the learning event included identifying opportunities of collaboration in the market systems with the aim of addressing vulnerability and support inclusion and economic growth and exploring ways of improving synergies and learning from PREG partners in terms of experiences. The learning event included a mix of field visits and participatory learning techniques. After the five days, PREG partners will be able to understand Drought Risk Reduction (DRR) in practice, market systems and communication. The site visits in Isiolo included Agri-nutrition Tupendane Community unit, Isiolo Livestock Market, Waso ECD, WASO AIPCA Dispensary, Kulamawe Poutry Farm, St. Kizito Primary School, Classic foods (the team tasted camel milk). 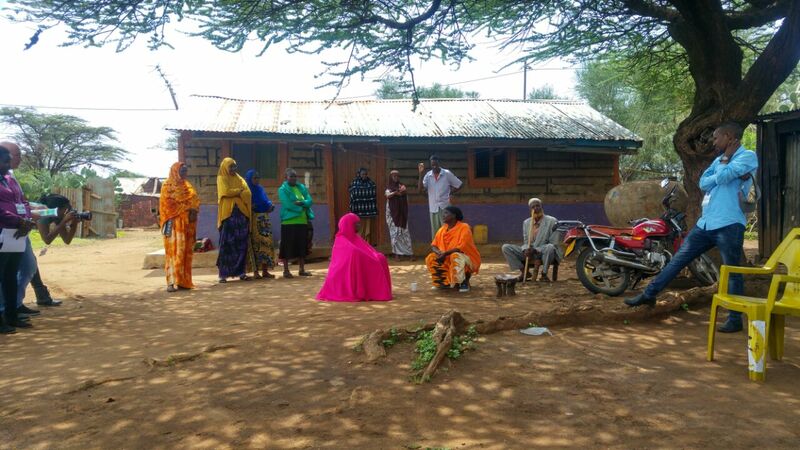 The site visits in Marsabit included Merille livestock market, Boma project – Loglogo business & savings group, Kalacha agrovet, Kalacha level 4 hospital and Kalacha women group. RCMRD together with other PREG partners has opportunity to support generation of data for Early Warning System, Rangeland management and Vulnerability mapping in Arid and Semi-Arid (ASAL) counties in Kenya. RCMRD has developed a rangeland tool: http://tools.rcmrd.org/rangelands/ and can be customized for ASAL counties. RCMRD plans to work with Kenya Rapid (USAID project) to support rangeland in Isiolo county as well as capacity building of county staff. In addition, RCMRD will support vulnerability mapping in Kenya Rapid counties with the objective of improving the preparedness to extreme weather changes.